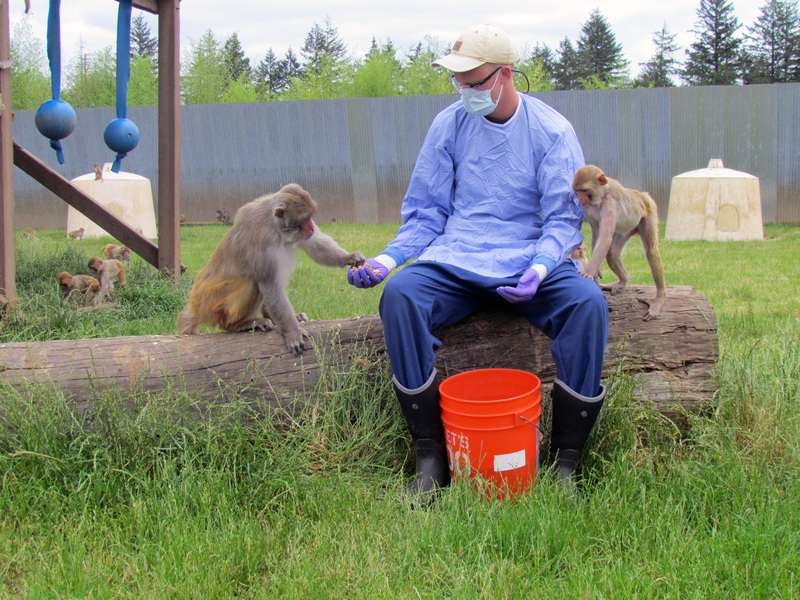 Here a husbandry technician is providing food enrichment to rhesus macaques in their corral. This kind of positive interaction between monkeys and their caretakers can improve well-being for the animals (or, for the animals and the humans!). Monkeys at the California Primate Research Center enjoy Halloween pumpkins.